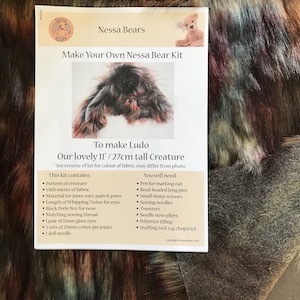 This is a kit to make a gorgeous 27cm 11” Creature like Nessa Bears Ludo. 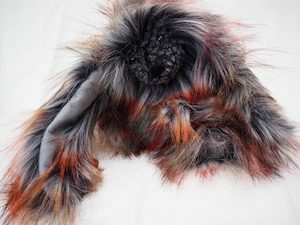 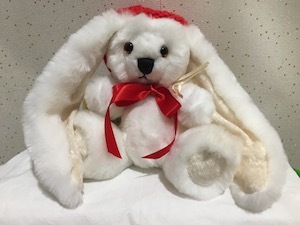 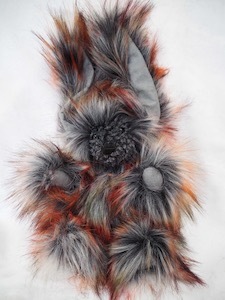 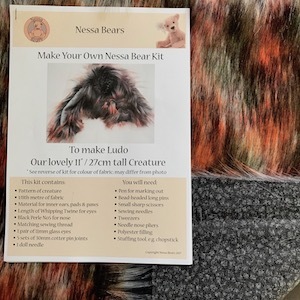 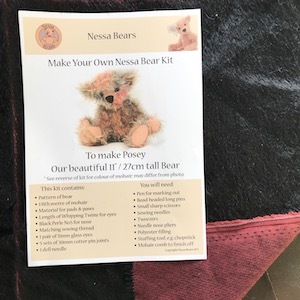 This is a kit to make a gorgeous 27cm 11” Creature like Nessa Bears Ludo and will come to you with the material in a fat 1/8thsize – pattern and colour as shown in the photos here as closely as possible. 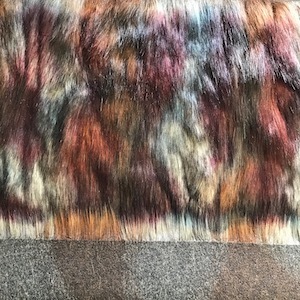 This long claret and blue 50mm plush fur fabric is so very very soft it makes a glorious creature . 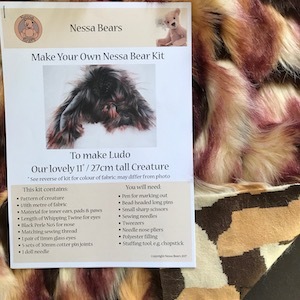 Other colours and types of material are available in other kits.